Finally! Hope you all enjoy. Me gusta! Can’t wait to mash that pre-order button to death! Follow the development of the aircraft Polishop the years, since it was not yet Polychop see the work get near to be completed and very good. Congratulations to the whole team, waiting for looking forward to the release. This is gonna be great! Can’t wait to have both choppers.. Keep up the good work folks! Fantastic website, can’t wait for The Gazelle! Get the huey, it will train you up nicely for this chopper, the heuy teaches you how choppers fly, if you can fly that you can fly anything I reckon. Thats a really nice website. Congratulations On The New Site And Very Much Looking Forward To The Gazelle! Really nice website! Well done! Sign me UP!! 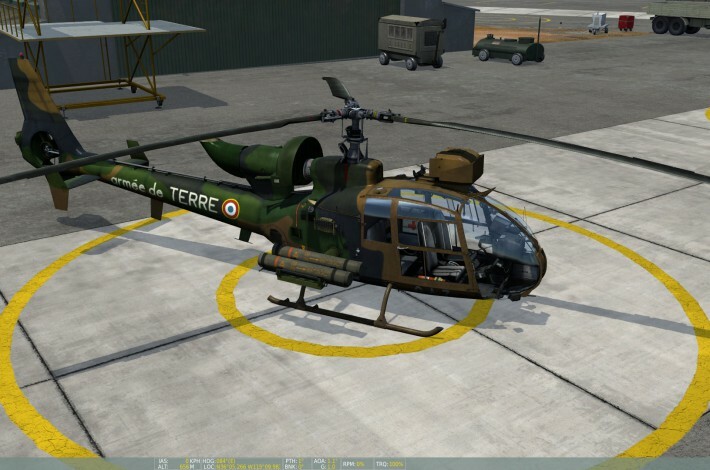 The gazelle looks awesome! Great job guys! Can’t wait to get my grubby little hands on it!!! After flying Huey the first time, I fell in love with choppers. Each time I power up my gaming machine, I first fly the Huey for the love of it. The Gazelle will probably kick me completely away from fixed wing aircraft and make me a two helicopter flier exclusively. First of all I want to send my greetings and congratulate them on their great website. The work and dedication that you have put the SA-342M Gazelle is rewarding and I look forward to the release of this great module. No less important is the module PAH1A1 BO-105, this work is a replica of the original esacta, details of all its components are really a gem of 3D work. Once again I congratulate you for your work and I hope that in the future continue to delight us with their works. Incredible progress over the last years. I’m glad the business decision worked well, so far. A role which both the Gazelle and the Bo-105 can fulfil! Thank you guys so much for your hard work and perseverance. How far are you in production? Very close to release? when are you planning to release it? and please remove this first letter capital tool from your comments. Looks good, I am a helo fan, my favorite modules are the helo’s, so I am looking forward to this. I will pay $100 for it right now as is . . . . . PLEASE ! ! ! !